After two weeks of science-heavy posts, I thought I’d do something light: a picture show. The limb bones of the early Upper Palaeolithic Gravettian people are not only large but also have massive muscle attachments. Note the narrow hips, narrow rib cage, and slender bones. The body shape is not dissimilar to some tall, slender East African populations today. Of course, you can be small-boned and slender and strong. Still, it’s likely this population fought with poison-tipped throwing weapons like the atlatl, not with spears like the Neanderthals, and consequently needed much less strength. Also, they were fishermen and horticulturists, not big game hunters; their nitrogen isotope ratios prove that much of their protein came from fish. 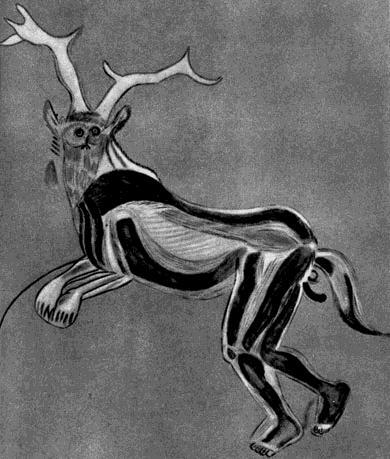 The Gravettians were major producers of cave art. A few years ago, Friedrich Blowhard of 2blowhards.com did a great review of a book by anthropologist J. David Lewis-Williams, The Mind in the Cave: Consciousness and the Origins of Art , which sought to explain the origins of Paleolithic cave art. Lewis-William’s idea is that is that the art was the product of shamanistic religious rituals involving hallucinations. The art was placed in the darkest and most inaccessible corners of caves because those were the best places to have a private hallucination. I’m happy to appropriate their diet, and I admire their art, but I must say, I’m quite pleased to be living now rather than then. And now — that duck is making me hungry. It must be time for dinner! Holt & Formicola (2008) “Hunters of the Ice Age: The Biology of Upper Paleolithic People,” Yearbook of Physical Anthropology 51:70–99. The skeleton image reminds me of my husband. Just shy of 6’4″ and around 150 pounds. He’s eastern European and Sioux – now I’m wondering which genome influenced his frame. I, for one, am less than impressed by Don Matesz’s assessment of the figurine. It has been quite common over the ages for cultures to idealize the obese female form. The comment thread was enlightening on the article was interesting, though. As a few comments pointed out, his final point (“only” a 10-15 pounds loss out of 30) is still a loss. Women, in particular, have a difficult time losing the Last Ten (or Twenty). Thanks much. My thought on reading his analysis was that a band or village of 100 could easily have had 1 matron who was encouraged to become obese for some totemic reason, without it being representative of the state of Paleolithic women. I reduced my meat intake from more than a pound daily to just about one-half pound, and, as the Jaminets suggest, replaced the protein with starchy carbohydrates (potatoes and sweet potatoes). For both Tracy and I, this resulted in a noticeable decline in mood and a dramatic increase in hunger and intestinal gas, along with a disruption of bowel function. Now his low-carb consumption has brought on seasonal allergies but apparently his bowel is now fine with carbs. For the record for those reading, a half-pound of meat per day is close to the low end of our protein range. A half-pound happens to be about what we eat and like best, but we certainly think it’s healthy to eat a pound of meat a day if you so choose. Cool. 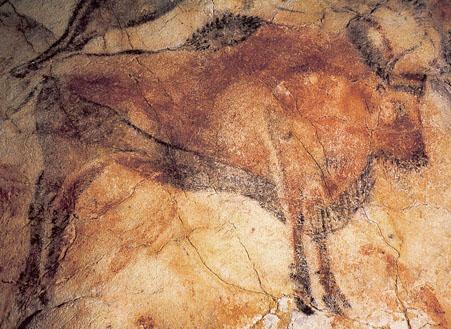 I need to see that new 3D movie about the Chauvet cave by Werner Herzog. Thanks for the great pictures. It reminded me of my college days when I took an art history course. For one of my assignments, I actually wrote a paper about the Venus of Willendorf and carved a representative figurine from a soap bar. I read the posts from Don Matesz’s website and was curious on your take of why the Japanese obesity rate is so low given the high carb intake? It seems that he is making the case that the ratio between fats to carbs is irrelevant when it comes to obesity. That obesity can be induced by a high fat or high carb diet. In your book, you emphasize avoiding refined sugar, wheat and cutting down Omega-6 levels. The Japanese diet seems to be very similar to the PHD but with a lot more safe starches. If we are minimizing those items, is the ratio of fats to carbs in the diet still important? Yes, I don’t believe carbs induce obesity, toxins do. Of course glucose can become toxic in large enough quantity, but is only a mild toxin, and even on high carb diets the body’s disposal pathways never let blood or tissue levels become too high. This is helped in Asia by the fact that people distribute their carbs over 3 meals and that rice is a bulky carb, 600 calories per pound cooked, and people don’t eat a huge amount in one sitting. So a healthy person can eat 2000 calories a day with an almost 100% carb diet and never experience significant glucotoxicity. The trouble in America is that most of the carbs we eat – wheat and sugar – are toxic. Asian diets are almost fructose-free and until recently were almost wheat free. I think Taubes and others are recognizing this, that is why he always says that people differ in their ability to tolerate carbs and that only in carb-intolerant people (ie metabolic syndrome, ie poisoned people) do carbs make us fat. What Taubes hasn’t done yet is crossover to our view that toxins cause carb intolerance – he claims agnosticism on that subject – or to the view that a modest amount of carbs may play a role in healing carb intolerance – he sticks to zero-carb dieting. Actually, Taubes is NOT a zero carber. He does in fact eat vegetables. But there are us zero carbers who do so not for weight loss or to assist with diabetes, but because we purely enjoy it. I am a former skinny-fat vegetarian, and I have now been purely paleo Zero Carb for 2 years and 2 months. I never ever eat off plan (that is my personality). I do Zero Carb because it fits my lifestyle of having things simple, it leaves me mentally and physically satisfied after years of being constantly hungry, even eating tons of vegetables, and it works great for my recreational hobby of bodybuilding. I easily maintain my 108lbs, 15% bodyfat at 5’4″ on zero carb. I stress that I am paleo zero carb to distinguish what I think you and I would agree is franken-Zero Carb, found mainly on Zeroing in on health message board of muscle meat only. I believe, in spite of your ZC danger articles, that a paleo, nutrient dense ZC diet can be extremely healthy if one chooses it (I don’t think it is necessary for everyone). It is not necessary for me–I have always been thin–but it works on all level for me that eating a mixed diet does not. I very much prefer a limited variety of foods as it clamps down on the orthorexia I can get from having too many choices. I eat one large evening meal a day, consisting of grassfed ground beef or lean bison, eggs (extra yolks) and a variety of organ meats, such as beef tongue (yum), heart, pork ear and liver. My fats are grassfed Kerrygold butter and organic extra virgin coconut oil. Per my Fitday (I track each day, every single calorie), I meet just about every micronutrient, falling low only in a few (C, calcium, manganese). I supplement with Vitamin D and magnesium only. I am in the best shape of my life after two years of Zero Carb. This way of eating allows me to fast during the day and eat a big, satisfying meal in the evening when I am fully relaxed. I like one large meal instead of smaller ones that leave me wanting more. This way of eating is delicious, nutritious and makes it easy for me to grow in strength at the gym and keep my bodyfat to 15-16%, which is my goal as an athletic woman into bodybuilding and figure. I cannot imagine adding vegetables or starches back into my diet–just the thought of all the preparation turns me off, and what can I get from those that I cannot get from a grassfed meats, fat, eggs and organ meats? In sum, I believe that Zero Carb done with a focus on nutrient density, and not just muscle meat from Wal-Mart (the ZIOH diet) can be a healthy way to live. I support the PHD and love this blog, but I have to defend what I see as a misrepresentation of ZC because of the muscle meat only crowd. Thanks for the great work, Paul. P.s. I am the Katelyn you just friended on Facebook that said I’d like to discuss ZC issues with you. Taubes has said in my presence that he believes in zero-carb and would eat zero-carb if his wife permitted it. Also, most vegetables don’t have many carb calories and so I consider vegetables-only to be de facto zero-carb (but a much better diet than zero-plant, because it includes significant potassium etc). Where does your potassium come from? My big concern with your diet would be robustness to infection, especially fungal and protozoal infections which thrive in ketosis. Keep an eye out for any possible signs that they might be getting a foothold. Also I do think micronutrient requirements on zero-carb are different, antioxidant requirements are higher, so I would worry that meeting the RDA may be insufficient for some. Finally, we are a symbiotic organism and an absence of plant matter for gut bacteria to feed on may be suboptimal. Absence of probiotic species causes a relaxation of immune surveillance of the gut and may aid pathogen entry via the bowel. Altogether I would consider this an experimental diet with significant long-term risks. I am glad you’ve done well so far but please do keep an eye out for problems! Paul, it really is easy to over-eat on rice. Plenty of south indians do it every meal. Cultural differences: in Japan, it eat until you are 80% full (then walk 1000 steps). In India, it is eat enough so everyone goes into a food coma, stares at each other (too hot to walk), then eats again in a few hours. I’m trying to imagine what 2000 calories of pasta and or bread looks like. Not sure I could even it it plain. Is post-menopausal obesity for women even a health issue? Certainly I can see why we want to avoid it today, but in paleo times would it kill you? Or is more about how a tribe would want to make that investment which looks like a waste? Again, modern assumption don’t work. Yes, Indians do find enough spices to add to their meals to make high-rice diets palatable. Still, they didn’t have an obesity and diabetes epidemic until recently. I blame wheat, sugar, and vegetable oil. Traditional Indian cooking actually is very vegetable-rich and only moderate in rice. But the fast pace of modern life does push people toward quick calories. Your last question is very interesting. In modern life obesity doesn’t really reduce mortality much, but weight loss can. I don’t think Gravettian man faced many dangers. Population density was still low, food was fairly abundant at least in the earlier parts, rates of violence were probably much lower than later when competition for resources was stiffer. They could easily have been a little overweight without much penalty. How muscular were our ancestors? That’s a pretty interesting question. It seems to me that there was a fairly strong, fairly recent trend of hardier, more muscular people displacing smaller, less muscular aboriginal people, at least in Europe and Africa. I’m specifically thinking of the Germanics and Slavs pushing the Celts to the edge of Europe and the Central Africans pushing the Bushmen down to the more desolate regions of Africa. Interesting. Of course those events were relatively recent. Perhaps connected to displacement of throwing weapons by sword-bearing infantry and other close-contact weapons, which occurred c. 1200 BC? Maybe the invention of guns now favors slender types. They make smaller targets! Sugar? Indians have been cultivating it for 5000 years. If there is any population that should have evolved toward sugar tolerance it is Indians. Wheat, traditionally, actually produced larger and stronger indians (punjabis) than a vegetarian rice diet. Even today, a poor man might get one chapatti for dinner. Vegetable oil is a biggie, though. * a lot of the diabetic conditions might be explanation by mal-nutrionion and semi starvation during pregnancy. Excellent points. Perhaps Indian diets and health demographics would repay study. Thanks! Thank you so much. I read with interest your five-part series on Zero Carb and also your back and forth with Amber, whom I know from my time on a zero carb forum. Regarding gut bacteria, isn’t it also true that butter can make butyrate? And vegetables have some anti-nutrients, as all plants do, so how much would be needed to provide which nutrients (specifically)? I do get some carbohydrate from extra yolks and organ meat. Also, liver has a lot of Vitamin A and copper and folate. I prefer to eat my meat very, very rare or near raw. That is another issue with the well-done muscle meat only ZIOH crowd that I differ on. I believe that preserves most of the nutrients, including the potassium and Vitamin C.
I should note–I forgot to earlier, that I do “eat” some plants! I am a tea aficianado! I drink copious amoutns of green, white and herbal teas as I fast, most of them fruit-based. Could I not obtain some Vitamin C from these sources? ZC fits me, but if I did get sick, found I was losing muscle or felt awful, I believe my first instinct would be probably to add a little safe starches. I think that would be preferable to vegetables, as they would lack fructose and anti-nutrients. I wonder if this should be a follow up post in your series. I think many would be interested. Let’s propose we were trying to design the “perfect” or “close to ideal” Zero Carb diet that does not include plants (I see your point on vegetables being zero carb, but let us not consider them). We will limit the foods to animal foods only save highly saturated oils (red palm, coconut) and teas and all manner of herbs and spices. Would this be of interest to make a post out of? P.S. I wish I could find a way to like lamb, but the taste makes me sick! a very tribal and isolated indian population group. Do you think some women would do better with more carbs in their diet rather than low carb? Yes … but it depends on what you mean by low carb. We favor low carb in the sense of favoring less than 600 calories a day. The average American is closer to 1500. But many low-carbers are below 200. I think that is too low. I have been reading your blog for a couple of months now and love it. I have also finally ordered the book on Friday. This comment is in regard to the zero carb discussion/comments above and in particular the risk of fungal and protozoal infections. I have eaten low carb for about 2 years thinking it was best for health. Most carbs were things like broccoli so I guess very low carb. That is except for a couple of meals on the weekend where anything went. About 5 months ago I started IF 16 hour fast/8 hour feeding. When I found you blog about 2 months ago I started eating starchy veggies like potato – about 100 to 180 grams of carbs on average per day now. 4 weeks ago I experienced sensorineural hearing loss in my left ear. My doctor thought I just had a middle ear infection which I did, but there must have been something in the inner ear that has caused the hearing loss. I was only just referred to an ENT specialist this last week. They have put me on 50mg of prednisolone a day for 5 days to try and recover some of the hearing loss. What I’m wondering is whether I had made myself more susceptible to this sort of thing by being in a ketogenic state? That is, if the problem has been caused in a viral or fungal infection, does ketosis make you more vulnerable. And should I stop IF now even though I’m eating plenty of carbs. Is this the sort of warning sign you were talking about? Jon, I have a friend who loses her hearing if she eats salt. Apparently it causes some fluid retention in her ear. Might be worth it to try avoiding salt. I am officially confused. I have so many associations now with regards to food, I don’t know anymore what to listen to. Having had an eating disorder complicates things, I don’t know how to tease apart the aspects that were psychological and those that were to do with what I was eating. I always thought I had a big problem with wheat, but now theres all these articles saying that basically, “it’s all in the head”. I have just been eating everything the past couple of months, some things have improved, but maybe something will start to develop again if I carry on down this road. It’s a tough one. Infections are the most common cause of hearing loss, and since you know you had one that seems the obvious cause. Possibly the infection has persisted in the nerves or inner ear, or has left unhealed damage. Did the infection respond to antibiotics? How was it treated, what were the symptoms? Some pathogens can infect the nerves and cause neurological dysfunction. Both Candida and C. pneumoniae can do this, which may be why my balance is very poor. The connection to diet is harder to discern. It’s possible that an infection develops silently on very low-carb and then becomes apparent when carbs are re-introduced. This happened with me, but it was more logical because it was a fungal infection and flared in the gut after re-introduction of carbs. A common mistake on low-carb diets is low potassium. That can be exacerbated by high salt intake, perhaps that’s what Marilyn’s friend experienced. Low potassium also causes some infections to flare. Genetic defects leading to low potassium cause sensorineural deafness (http://www.ncbi.nlm.nih.gov/pubmed/19289823, http://www.ncbi.nlm.nih.gov/pubmed/19176829). So perhaps eating more potassium-rich foods like bananas, potatoes, and tomatoes would be helpful. No promises this suggestion will help, but shouldn’t do any harm! There’s plenty of reason to expect problems with wheat. It’s not all in the head. You know what our advice is! Stick to rice and other safe starches, not wheat. I’ve been a follower of your excellent blog ever since I ordered your book from Amazon. Part of the reason why I liked the book is because it is based upon scientific research, which I appreciate because I do have a science background. I’m of Asian descent (with a bit of Russian thrown in), and I am petite in build/ small-boned. Though I’ve never been overweight by more than 10 lbs. in my life, I do find that I feel physically/ emotionally better on a low carb diet abundant in protein. But then you provided evidence which connects high protein diets to lesser, overall lifespan. I switched to a higher fat/ lower protein diet, and find that I am losing muscle mass, most noticeably on my legs. I have not changed anything in my fitness regimen, the only changes have been in my diet. My weight fluctuates between 97-100 lbs., and I am 5’2″…I was a former dancer so this is quite a normal weight for me. I don’t want to lose any more muscles, yet do not wish to sacrifice the present (looking lean) for the future (healthier, longer life). Would adding more carbs in form of safe starches be the answer? I already eat plenty of vegetables like kale, cabbage, broccoli sauteed in butter. Yes, add in some more carbs. Carbs and protein substitute for one another on low-carb diets, but fats do not. Any deficiency in carb+protein will tend to lead to muscle loss. But I wouldn’t be too worried about higher protein if you’re low-carb and feel good on that diet. Much of the protein will be converted to glucose. I think most of the longevity dangers come from having extra amino acids lying around. Initial symptoms were stuffy nose, slightly full head, malaise, and hearing loss. My middle ear also showed an infection. It was initially treated with antibiotics because my Doctor thought it was a middle ear infection only. That was unsuccessful. I was then put on another course of antibiotics. I did experience a fair amount of improvement in tinnitus and some hearing returned but I’m unsure if this was due to the antibiotics because it occurred 6 days after starting them. I have been to 2 ENTs. The first one said my middle ear was just red and had no infection, the only issue is the sensorineural hearing loss. The second one said I have a low grade fungal infection in the middle ear as well as the sensorineural hearing loss. I’ll try the bananas and potatoes. Sounds like it might have been a fungal infection all along. Fungal otitis is fairly common. The high-potassium foods should help with that too. As far as tinnitus goes, there is some interesting data representing tinnitus as a phantom limb disorder: an issue with “Virtual Maps”. Many people have tinnitus that changes frequency, amplitude etc based upon stress, food, exercise etc. With monitored stimulus areas of the brain representing the tinnitus change comparative to perceived pitch, amplitude, placement in stereo field etc. This is similar to the representation of a phantom limb in the brain generating pain as an action signal NOT as a physical injury and could be treated as such. I have had very good success with tinnitus when utilizing visual and vestibular rehabilitation. I have had weird but successful results using a signal generator to “chase” the pitch. Eventually the ringing extinguishes-the idea is that a processing/representation error generates the signal either as a comparator to frequency lost or at pitches where there is reduced ability to discern-basically an awareness tool to keep your conscious attention in low stim environments. This keeps you aware of issues so that you are not surprised by a predator or do not notice prey. Interesting thoughts, not much researched fact. Extra difficult as you are dealing with second hand info with no real repeatable reliable data. The important part in my work is that I am not a researcher I do rehab and training so all that matters is the result. Then we sit around and pontificate about the power to change this or that based on cortical remapping/neuroplasticity. At the end its always “Hmmm, maybe..” and ” we cant REALLY know do to the nature of difficulties in perceiving the problem.” We are happy with the results but are in a difficult place as far as organizing results. The results we do get matters a great deal to those where the issues can become debilitating but like so many things in the past: at this stage we have to enjoy the results but be frustrated when trying to discern a cause effect relationship in both etiology and rehabilitation. I think most important scientific discoveries come from people finding something that works (or, the opposite, something that harms) first, and then trying to understand why. You could be on to something important! I believe that the “original” homo sapiens sapiens then was the slender/tall type like depicted above and that the large differences in body shapes (really overall shape and proportions – more then shear height as height is highly variable, e.g. with nutrition) we see today comes from admixtures of archaic types and neanderthals, probably even homo erectus in case of east asians. We’ll get proof at the paella party. 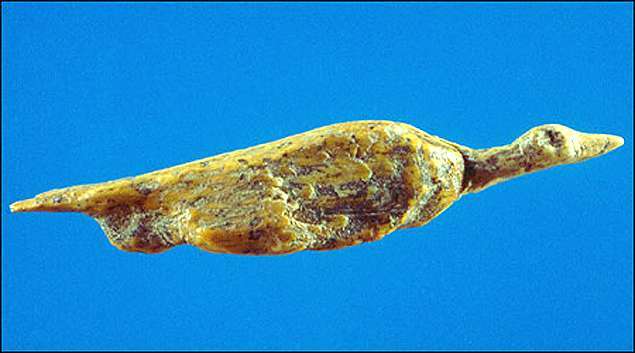 Dobson has suggested that some of the upper Paleolithic Venus figurines […] may represent cretins among iodine-deficient terrestrial hunther-gatherers (Food and Western Disease, Staffan Lindeberg, Wiley-Blackwell, 2010, page 217). Reference: Dobson, J.E. (1998) The iodine factor in health and evolution, Geograph Rev 88, 1-28. Thanks for the auspicious writeup. It in truth was a enjoyment account it. Look complex to more added agreeable from you! However, how could we keep in touch?